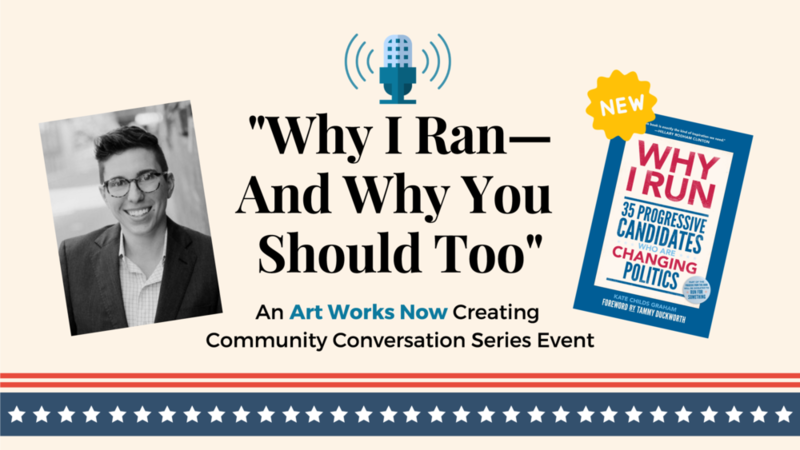 The event will feature local elected officials in a conversation moderated by Kate Childs Graham, editor of the new book Why I Run: 35 Progressive Candidates Who Are Changing Politics. Kate will ask the local elected officials questions about what inspired them to run for office and what it took to win. Kate's book will be available for purchase. Local organizations will be on hand to help you get started on your journey, and light refreshments will be provided. Interested children and teens are welcome! Emerge Maryland will also be attendance to provide information for women who want to run for office. Mark your attendance on Facebook, and check out Kate’s book if you haven’t yet. Kate works with leaders in politics, the progressive movement, religion, academics, and entertainment to help them craft messages and tell stories that will move people to action. She began her career writing and working in the progressive faith and reproductive health movements. For many years, she wrote a regular column for the National Catholic Reporter, and she has appeared on MSNBC and CNN. Prior to joining West Wing Writers, Kate was Communications Director for U.S. Senator Amy Klobuchar (D-MN), where she served as the Senator’s chief speechwriter and strategist. Kate wrote speeches for principals and surrogates during the Clinton-Kaine campaign, and she was a member of the 2016 Democratic National Convention speech writing team. Previously, Kate served as Director of Communications and Media Affairs at the American Federation of Teachers (AFT), where she led a team of speechwriters and media affairs professionals, and as senior speechwriter at the American Federation of State, Municipal, and County Employees (AFSCME). Kate is a graduate of the Catholic University of America and the United Nations-mandated University for Peace. She lives in Mount Rainier, Maryland, with her partner, Ariana, and their son.